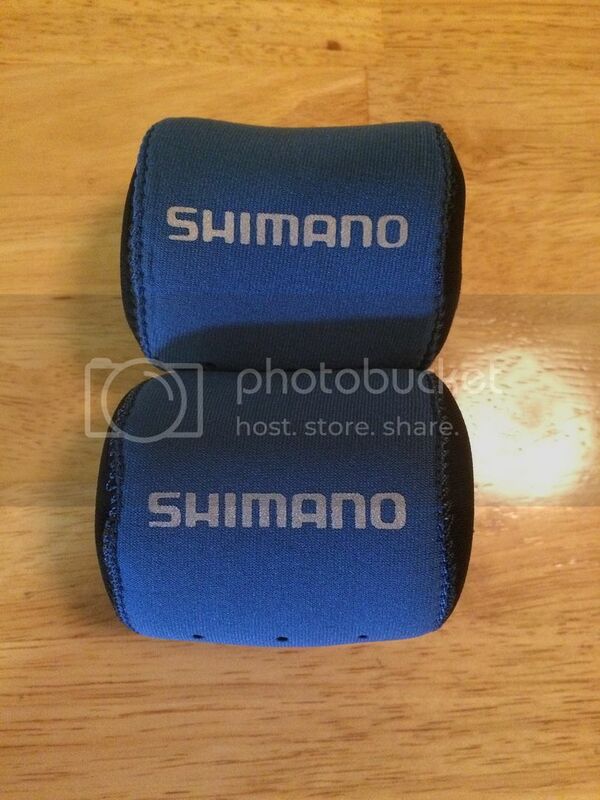 I have 2 new Shimano Reversible Reel Covers Size: Small, Fits Reels: Calcutta 250, 200 150, 100, 50 Series, Calcutta TE 300, 200, 100, 50 Series, Calcutta TE DC 250, 200, 100 Series, Cardiff 300, 200, 100 Series, Corvalus 300, 200 Series. I accept Money Order, Cashiers Check, PayPal Personal Pay or +3.5%. Last edited by Jack_Bauer; 05-17-2016 at 04:34 AM.